I have loads of scone recipes. I started thinking how maybe they are not so good to eat all the time because of their fat content. So I thought I’d preform a little experiment. I have the solid coconut oil on hand and I wondered how it would preform, if I switched up the butter for it. Well, to my surprise it worked out fantastically….for this recipe! These scones were light and soft. They melted in your mouth. I just couldn’t believe it. Not being sweet, the icing added just the thing to round off the flavors. I was very pleasantly surprised and would definitely make them again. Into a large bowl add 2 cups of flour, 1 cup whole wheat flour, 1/2 cup sugar, 4 tablespoons baking powder and 1 teaspoon Kosher salt. Mix well by hand to combine. 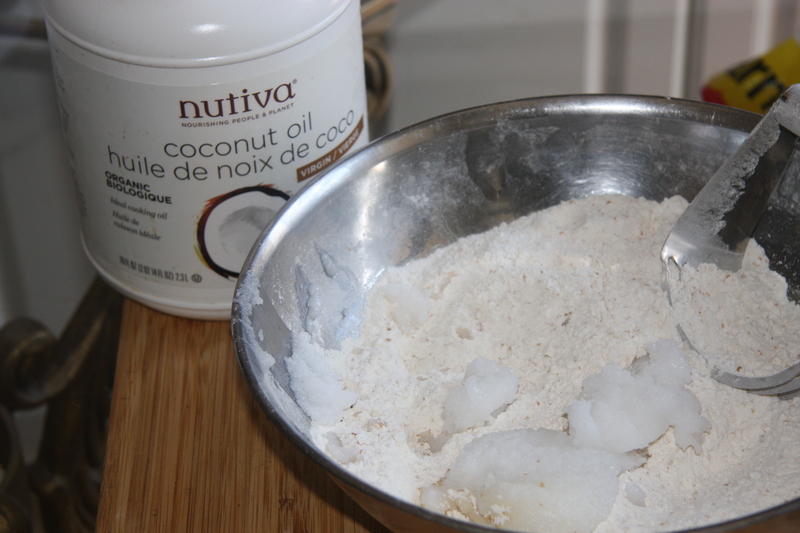 Add 2/3 cups of coconut oil and blend with a pastry blender until it resembles course crumbs. 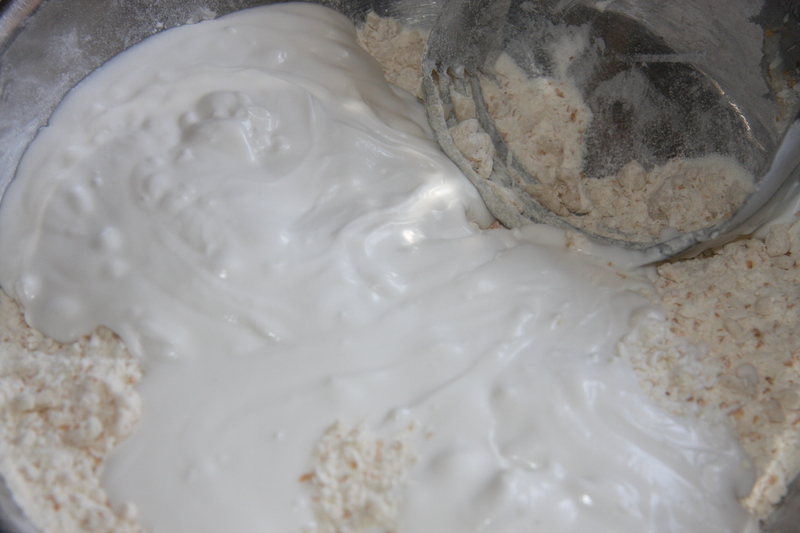 Next add 2 cups of unsweetened coconut flakes stirring again to combine. And with a pastry blender, blend until it comes together. It will look like this. Slowly by hand bring it together, not working it too much. Onto a large pan lined with parchment paper and sprinkled with a bit of flour… Divide the dough into 2 and press gently until the disks are about 1 – 1-1/2 inch thick. 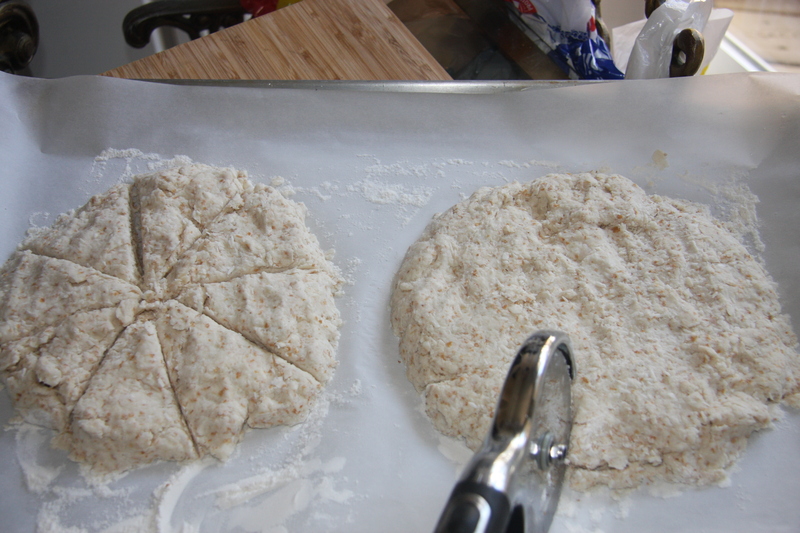 Cut the dough into triangles, like you would for pizza. Place into a 370 degree preheated oven for 15-20 minutes. It could be less, it could be more. It just depends on your oven. Just keep and eye on the scones and when they are golden in color on the bottom and they should be done. Gently with a knife pull apart after about 5 minutes and let them cool. Into a bowl add 1 cup of icing sugar, 2 tablespoons of milk, 2 tablespoons or more if you like of lemon juice and the grated lemon rind. 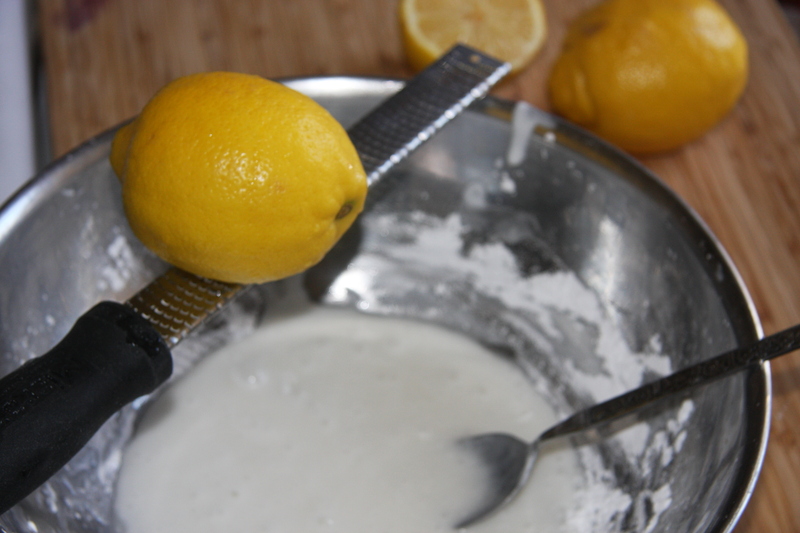 If you add more lemon juice cut back on the milk. 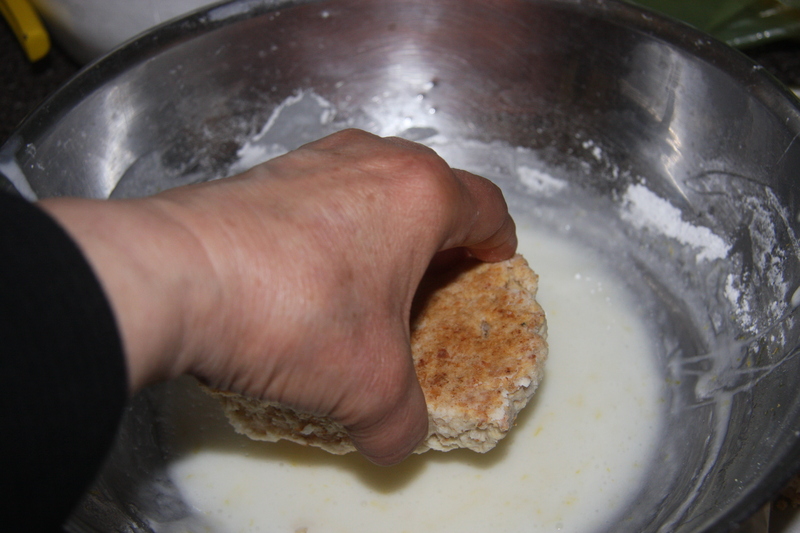 If the icing is too runny, just add more icing sugar until you have the consistency for icing the scones. 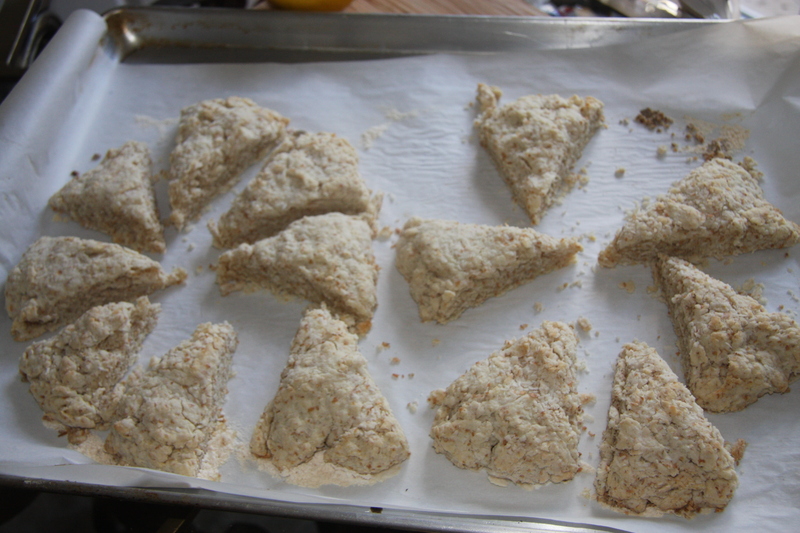 Once mixed without any lumps dip the top of the scone into the icing. 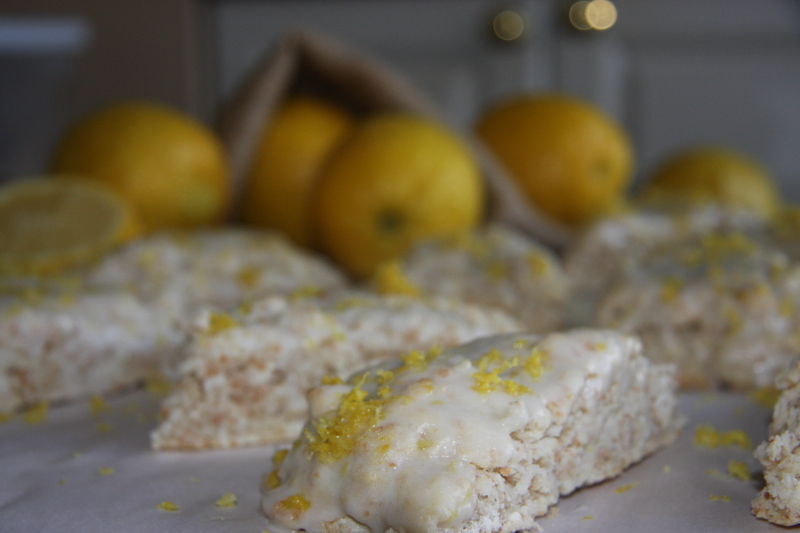 Then grate more of the lemon rind and sprinkle on top. YUM! Preheat oven at 370 degrees. 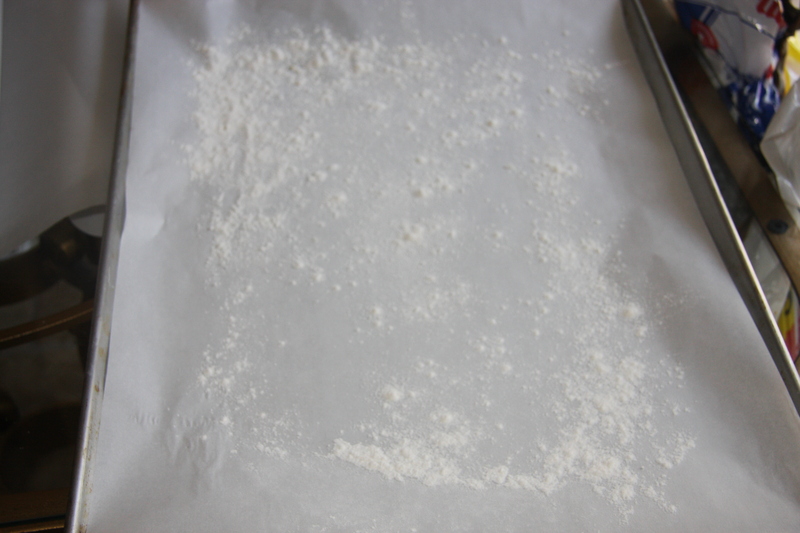 Line a baking pan with parchment paper and sprinkle with flour. 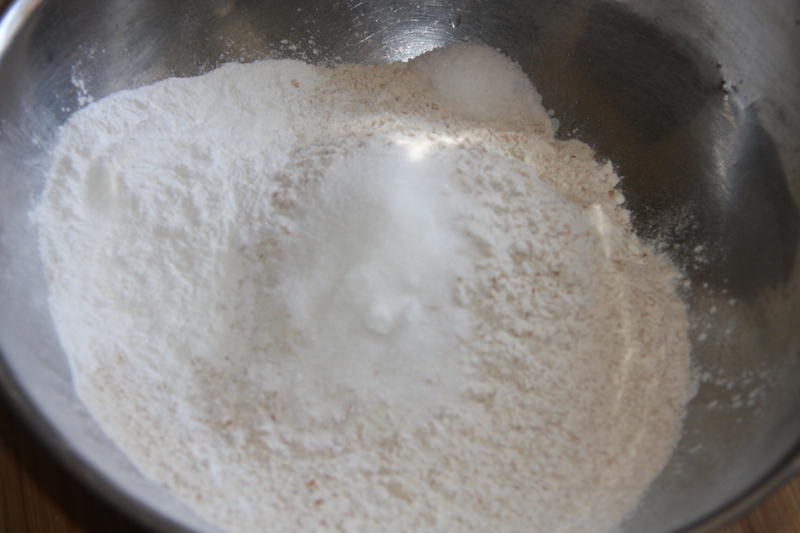 In a bowl add flour, sugar, baking powder and salt and combine with hands. 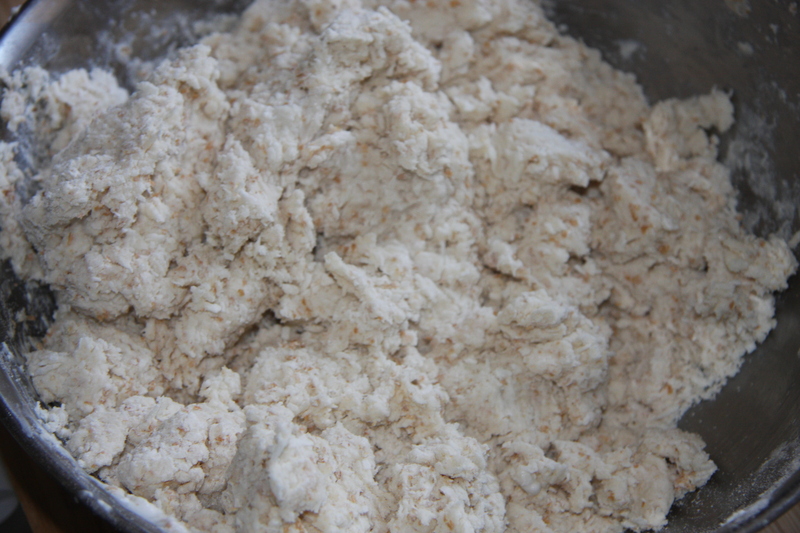 Add coconut oil, in its solid form to the flour. 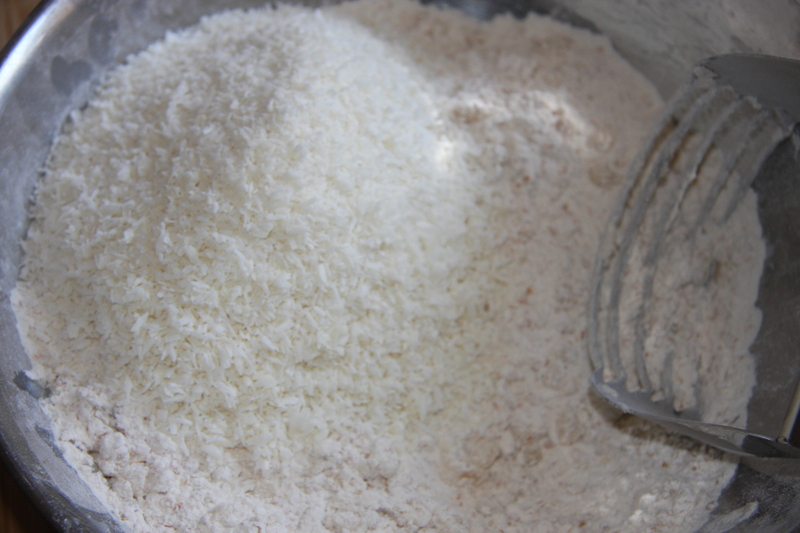 Using a pastry blender, blend until it resembles small peas, adding 2 cups of shredded coconut and blending the shredded coconut into this mixture. 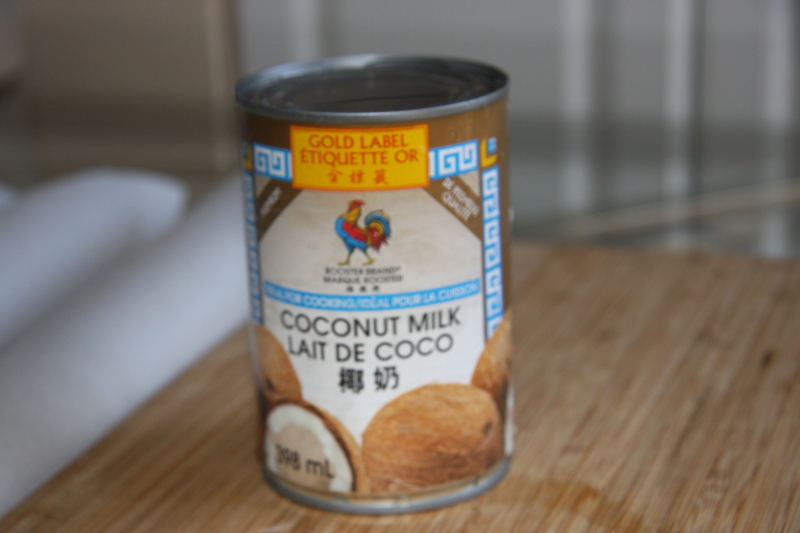 Next add the coconut milk along with the coconut extract and blend gently until it is combined with the flour mixture. 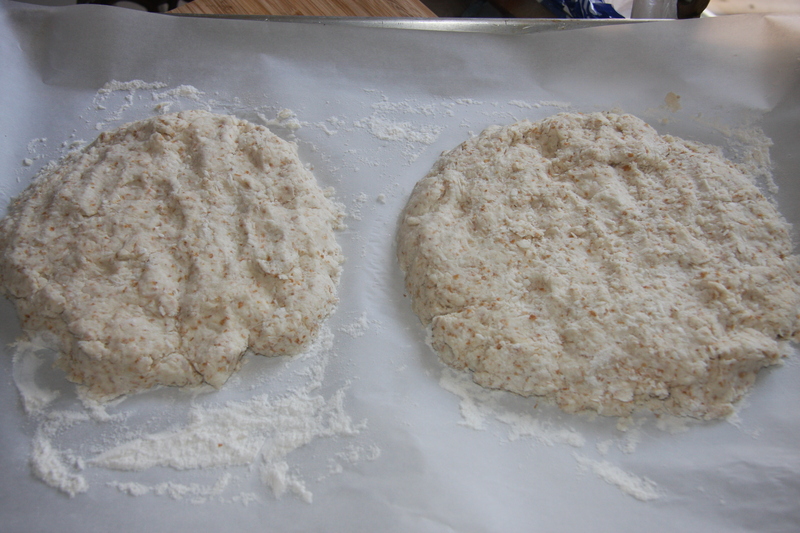 Divide dough into 2 placing the two disks on the baking sheet and gently pressing them to 1 to 1-1/2 inches high. Using a knife or a pizza cutter , cut the disks into triangles. Bake for 15-20 minutes. Or until golden on bottom. Leave 5 minutes and with a knife, gently separate pieces. Let cool. In another bowl mix icing sugar, milk, lemon juice, lemon rind until there are no lumps and it is thick but still a bit runny. 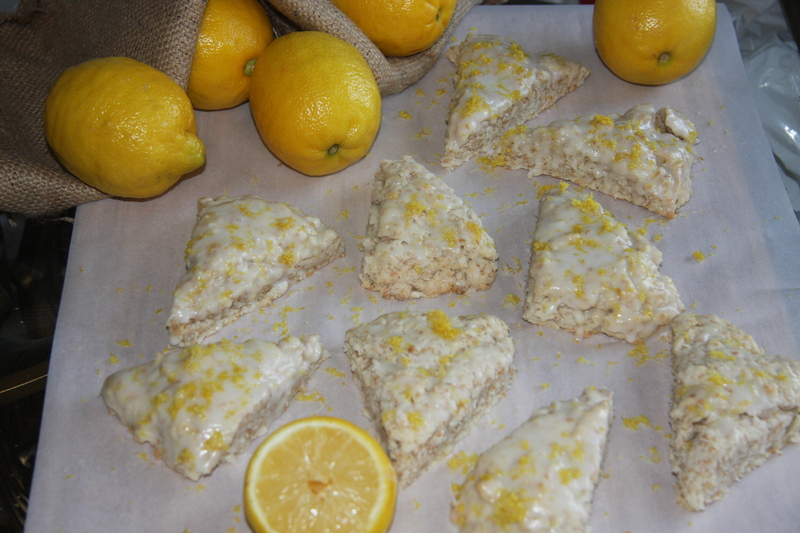 Dip the tops of the cooled scones and let the icing set right side up but not before sprinkling with lemon rind.